This advert comes from a local magazine, and is for a chain of health clubs across Norfolk. The advert shows a trio of women with one standing towards the camera whilst the other two are turning towards it. The woman in front is holding a flag with the name of the health club whilst the other two are standing with their arms crossed. This is obviously intended to present a strong image of confident women. 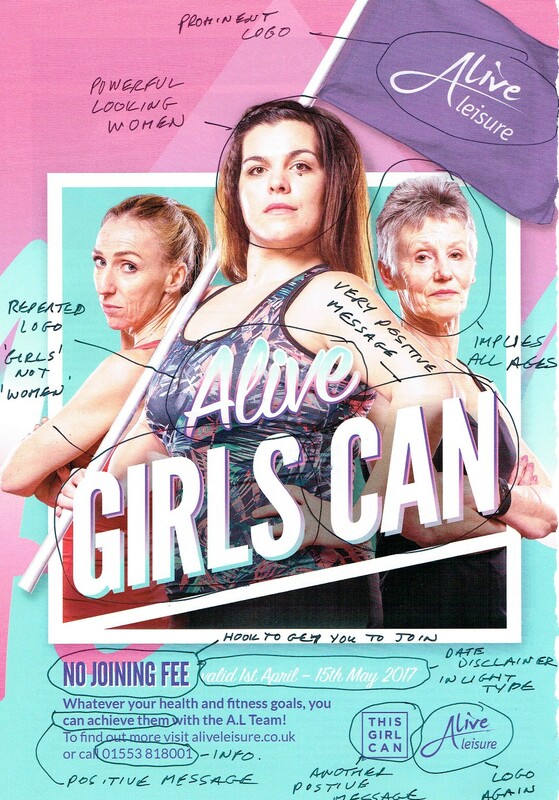 The words spread across the image are very positive: ‘Alive GIRLS CAN’ implying that you can do it if you are a member of this club. It is noticeable that the word used is Girls not Women, despite the fact that one of the women is obviously much older than the other two. This is obviously intended to connote that the whole thing is independent of age. The woman in front, who also appears to be the youngest, is standing in a very proud manner, with her chest out, holding a flag whilst the crossed arms make the other two women appear very determined. This makes the whole advert look very similar to a wartime recruitment poster. 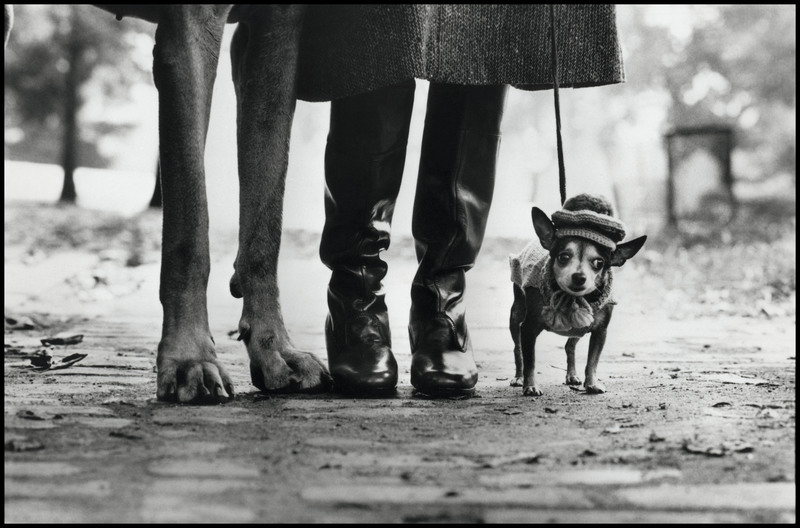 It is very obviously the intention of the advertiser to create this association in the mind of the reader. Below the image is the text ‘NO JOINING FEE’ which is the hook to get you to join up, whilst the valid dates are in a different colour, making them less noticeable than the main message. White against light blue is not a strong contrast, making those words easily overlooked. Below that is another strong message which includes the words ‘You can achieve them’ and then the information of how to contact the health club. Finally you have the logo of the club again, plus a logo which has the powerful message ‘THIS GIRL CAN’. Although there is no web address, this turns out to be the logo of a National Lottery funded website promoting sport for girls. This is then an extremely powerful advert for the health club, aimed at women to get them to join. The company name appears three times, twice in the two logos and again right at the centre of the image, so that there is no way to misunderstand and join a different club. Alive Leisure advertisement. (2017). KL Magazine, [online version] (79), p.14. Available at: https://issuu.com/klmagazine/docs/klmagazine79_april2017_onlineversio [Accessed 12 Apr. 2017]. Aliveleisure.co.uk. (2017). Alive Leisure. [online] Available at: http://www.aliveleisure.co.uk/ [Accessed 12 Apr. 2017]. This Girl Can. (2017). This girl can – This Girl Can. [online] Available at: http://www.thisgirlcan.co.uk/ [Accessed 12 Apr. 2017].